Thank you, this was a wonderful interview between two of my favorite people in music today. You’re both so genuine and eloquent that your love of music shines through. Awaiting his novel with bated breath. I haven’t read past the first question yet, but I just think that was the perfect place to start. Thanks for infusing your interviews with the same feeling of passion the music so obviously brings you. This is absolutely a luminous interview. Thank you so much for sharing it. jimbo: 1) go and 2) you can stream his full albums in the “music” section of his website. Oh Heather, what a wonderful interview. He’s a good egg, isn’t he? You are too. God, I wouldn’t know how to answer that question he asked you! @ Heather – dang, you seem to have an awful lot of influence on how I spend my money for someone I’m not dating…after sampling Mr. Ritter’s work for the better part of the afternoon (when not screaming in horror at the one-sided officiating in the final match) I simply have to hear “The Curse” performed with the MN Orchestra. I can only imagine the heights that little waltz will achieve with that stellar group of musicians in support. I loved this, thank you for sharing! This interview was officially perfect in every way. Part of me wants Josh to get the fame he clearly deserves, especially after he mentions in your interview how he wants to have kids (who no doubt with their parents thoroughbread folk genes would ensure our own future children would have awesome music to listen to), but the rest of me selfishly wants to keep him to ourselves, we select few who have been so lucky to heave heard the songs (and sometimes even received the hugs) from so wonderful a human being. Incredible interview! You asked questions I’ve dreamt of asking him. And good on ya to not go down the easy route of naming a Josh song when asked about your favorite song! Thanks for publishing this, I had been waiting anxiously for it since you mentioned you interviewed him. Wonderful interview Heather.. Thank you! Wonderful interview. I sure wish I could verbalize my thoughts as well as he does. And what a treat to have that birds-eye picture of you in conversation with Josh. Great job & thanks for sharing! 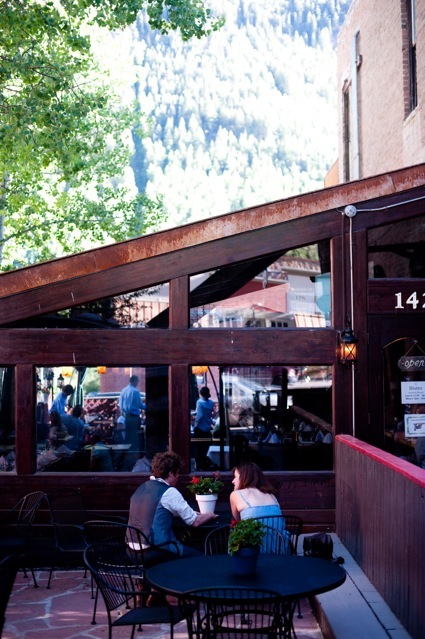 Love your conversational style. It’s like we were there! Wow, I am jealous of your thought-provoking conversation with Josh. There’s just no one like him. Wonderful interview, thanks for this! Well, I have never heard of Josh. But I listened to some of his songs. I must admit. HE is a little different. But I like him. I will have to go buy one of his albums. Which one should I get first? geez, Lana, that is a hard question. I love them all – you can stream them in their entirety on his website. I might start with Historical Conquests. What a fantastic interview!!! I feel like I just sat at a bar and listened in on a very deep and meaningful spontaneous conversation between mutually admirable strangers now friends. 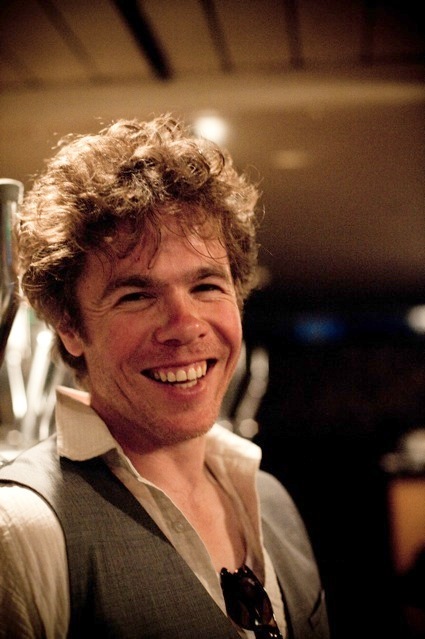 I could not agree with you more in that Josh Ritter is one of our generation’s most important songwriters. jimbo–no, you’re not a bad person. His music took a LONG time to draw me in, like about 4 years from when I first heard it to when I fell solidly, head over heels in love. “Monster Ballads” was one of my favorite songs, but nothing else of his really struck a chord in me until very recently, and then all of a sudden he was the only thing I wanted to listen to, and it had a lot to do with things I was going through. I think it’s about having the right time in your own life resonate with the right music (or book, or art, or whatever). But yeah, the more I read or hear him talk about his work, the more respect I have for him. Excellent interview! I think all interviews should be so conversational and fluid. It’s the first one I’ve read where Josh has interrupted with a question. Strikes me as a gesture of respect for you. Kudos – and thanks. Your beautiful story told in song haunted me so that I asked for others to share their versions of its meaning. Upon my own first listen, “The Curse” told me the same story that Josh Ritter expressed…It is wonderfully amazing & interesting to hear what others take from hearing this song. I feel that our unique ability to listen and share the many versions of how we receive a, story telling song, is a window to the melody of our souls. The song and its melody, the composition was a key factor as I gave ear to incorporate the story. 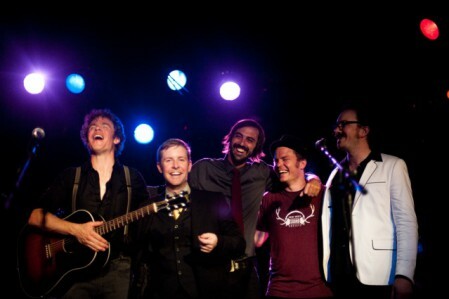 Thank you Josh Ritter for this experience! Evaluating their journey three years after this article has been written. It is 2017 and I was recently introduced to Josh Ritter music through my new husband. We were married in July 2017 he is 67 and I 64. Unfortunately as I am not a British Citzen and had to go back to my own country South Africa to go through spousal visa process. 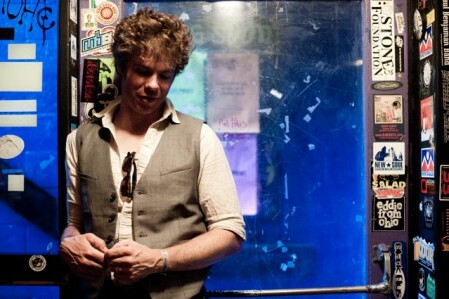 While away from him, he sends me music every night most of them Josh Ritter’s haunting voice and melody. I hear my husbands pain, joy, hopes and fears in Ritter’s songs. I fall more and more in love with my husband and Ritter’s songs. I am now enthralled by this flow of emotions the lows and the highs in Ritter’s songs as it keeps me on a pathway of hope that my husband and I will be together soon.